The Selena dress is romantic and graceful, yet with a boho feel. 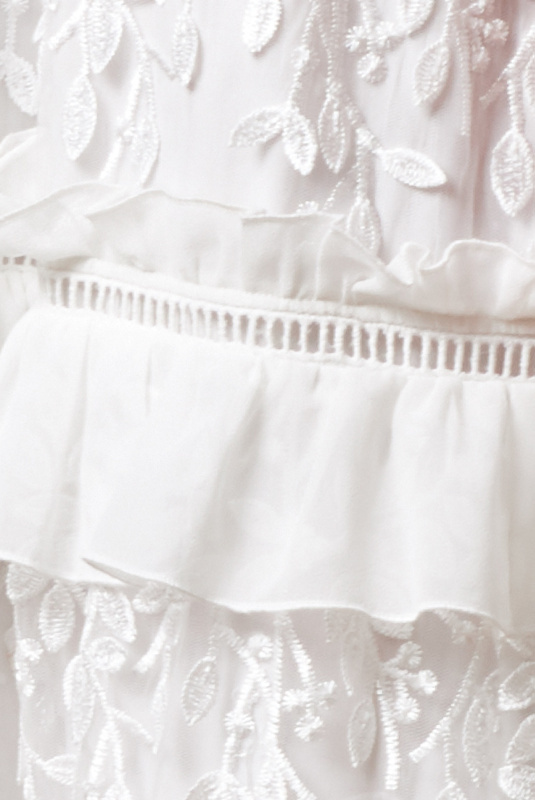 The ruffled neckline, the cutout waistline and bohemian-inspired ruffles is perfectly balanced by the flowy skirt. The beautiful details and 3D flower appliques make this dress unforgettable creating that dreamy look. We think the light, breezy shape makes it perfect for outdoor ceremonies, whether in a garden or on the beach.